The current international humanitarian system can no longer adequately address today’s humanitarian crises. 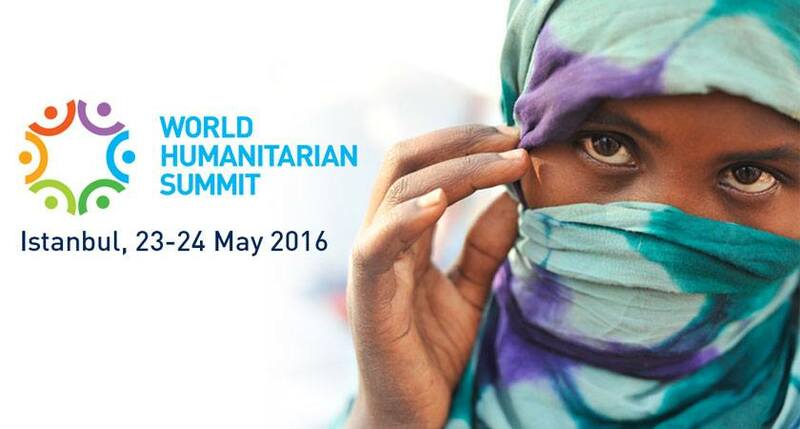 At this critical juncture, Turkey will host the first-ever World Humanitarian Summit on 23-24 May 2016 in Istanbul. Despite worldwide shock and indignation, it looks like little Aylan Kurdi’s tragic death last summer changed little. This is a sad – but brutal – comment on our collective humanity, if such a thing still exists. The power of images and social media, so effective for celebrity purposes, seems to have fallen flat on its face in mobilising assistance to those less fortunate. Indeed, since Aylan’s death six months ago, countless more innocents – men, women and children – have died completely preventable deaths. It is true that we are faced with major humanitarian crises, unlike anything since the last World War. But, there can be no excuse for the global indifference on display. While major natural disasters continue to be a significant cause of death and displacement, what is most alarming today is that a great majority of humanitarian crises are conflict-related and of a recurrent or protracted nature. Nowhere is this more apparent than in Syria, where a mass murderer has, with outside help, targeted his own people indiscriminately and with impunity. Beyond Syria, whether in the Middle East, Asia, Africa or elsewhere, humanitarian crises are transcending borders. Today, 125 million people are in need of humanitarian assistance around the globe. The number of displaced persons, 60 million, has almost doubled in just a decade. These numbers stand as testament to the human suffering caused by the growing complexity of humanitarian crises, our inability and unwillingness to tackle them, and the widening financial gap between increasing needs and limited resources. Something has to be done and Turkey is leading the way, not only in terms of setting an example, but also in working to galvanise the international community towards action. Today, while a major humanitarian donor, Turkey also hosts the largest refugee population – 2.7 million and counting – in the world. This is largely due to the war in Syria. Providing shelter and vital services such as free health care, schooling and vocational training for these refugees is a major financial burden that Turkey has had to assume largely on its own. But our humanitarian diplomacy is not limited to our immediate region. Having received vulnerable persons, irrespective of race, religion or ethnicity as far back as in the late 15th century, Turkey today is responding to all manner of humanitarian crises from Haiti to Nepal, Guinea to Somalia and the Sahel to Indonesia. Our humanitarian efforts seek, not only to relieve symptoms but also to treat the disease. This holistic approach covers humanitarian and development assistance, but also seeks to address the root causes and push factors of humanitarian crises. This approach is demand-driven and can best be seen in the countries of the Sahel or in Somalia, where Turkey has pursued an integrated policy conducted with a multi-stake holder approach. It has combined official aid with the active involvement of the business sector and civil society, and has managed to dramatically improve countless lives. While individual efforts like these of Turkey are crucial, the international humanitarian system is being deprived of available funds and the clock is ticking for those affected by the many crises we are witnessing globally. There are simply too many lives at stake, and inaction is not an option. At this critical juncture, Istanbul will host the first ever UN World Humanitarian Summit on 23-24 May 2016. The choice of Turkey as host was hardly coincidental. It constitutes a timely recognition of the successful humanitarian diplomacy that we have been conducting. The World Humanitarian Summit will provide a vital platform to address the challenges burdening the humanitarian system. In addition to such issues as responding to recurrent/protracted crises and waves of displacement, other pressing issues such as ensuring sustainable, reliable and predictable humanitarian financing will be examined. Other questions such as, what innovative methods could be used, or how to promote localised humanitarian responses through more tailor-made and user-friendly approaches, as well as the question of dignity and safety in humanitarian action, will be addressed at the Summit. The World Humanitarian Summit will be an occasion for all the nations of the world and their leaders to take action while millions stand on the brink of life and death. As I remember first seeing Aylan’s image, I recall the overwhelming grief that came over me thinking about how alone and without protection he was as an innocent toddler. I would like to believe that we learnt something from that image and that we do not need more images like this to compel us into action. We are all responsible for what happens next to those vulnerable persons looking to us for help. Istanbul is an opportunity to step up and shoulder that responsibility. I am calling on all leaders of the world to come to Istanbul for the UN Humanitarian Summit and to work with us to find solutions for those who desperately need humanitarian assistance.